Cy-Metal.com: ASTRONOMIKON: Release Date of debut album, Cover Artwork and Exclusive Song!! ASTRONOMIKON: Release Date of debut album, Cover Artwork and Exclusive Song!! 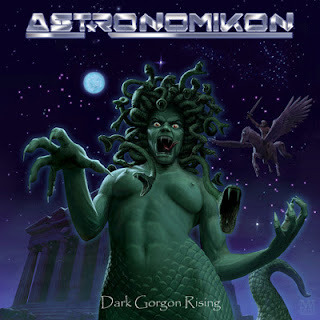 ASTRONOMIKON are going to release their debut album on February 15th, 2013 through Pure Legend Records! Cover artwork made by Markus Vesper. Paris Lambrou (bass) says: "Our debut is a concept album full of powerful feelings. We are trying to bring the Metal version of the myth of Perseus and Medusa to life. Our music is epic heavy/power metal combining elements of both US and European metal schools." The album was recorded in Germany at Maranis Studios, produced, mixed, mastered by Evagelos Maranis. Listen to the song "Witch Hunter"